This November was supposed to be a bloodbath for Senate Democrats. With ten of the party’s incumbents staring down tough reelection bids in pro-Trump states — including conservative bastions Montana, Missouri, West Virginia, North Dakota, and Indiana — the question wasn’t whether Republicans would retain control of the upper chamber, but exactly how much larger Mitch McConnell’s majority would grow. Then, the president spent his first 15 months in office doing just about everything in his power to mobilize the Democratic base and harden the opposition of his skeptics; congressional Republicans decided to make taking health-care benefits from working families and giving tax breaks to the rich their top two legislative priorities; conservative voters in Alabama nominated an ephebophilic theocrat to be their standard-bearer; Bob Corker decided to take his tax-cut money and run; and Missouri’s governor decided to bring his party’s reputation down with him. And now, Chuck Schumer is dreaming the impossible dream: Thanks to Doug Jones’s victory in Alabama, Democrats need to net just two seats this fall to take Senate control — and thereby, stave off another two years of Trump packing the judiciary with Federalist Society fanatics. 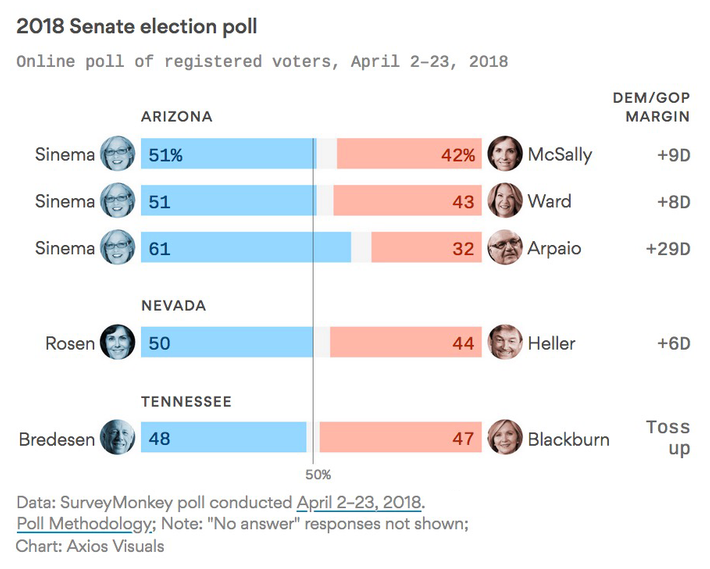 New polling from Axios suggests that ambition is within reach, as the party’s candidates in Arizona, Tennessee, and Nevada are all in position to remove seats from Mitch McConnell’s column. Tennessee is obviously the biggest reach for Team Blue. But with the state’s popular former governor Phil Bredesen as its standard-bearer, Democrats have a real shot at regaining a foothold in the Volunteer State. 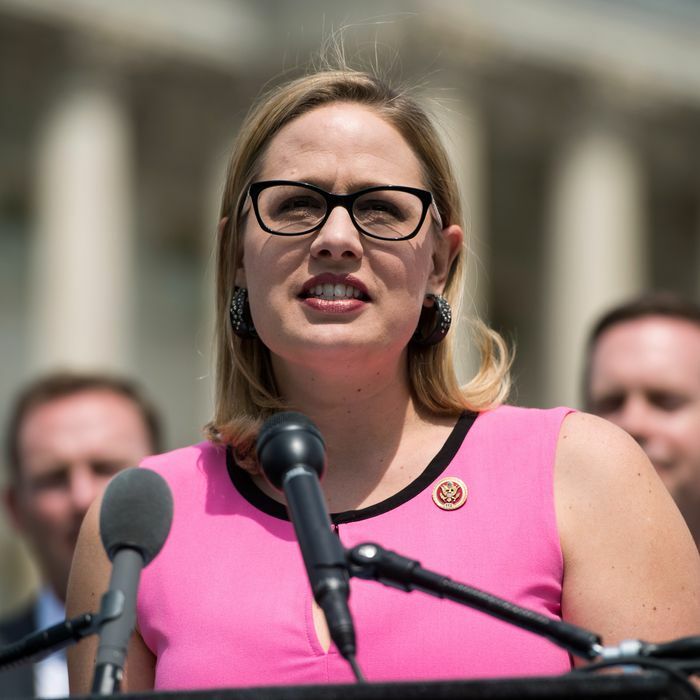 Meanwhile, Sinema’s early strength could prove particularly significant. With John McCain still sidelined by brain cancer, there’s a good chance that two Senate seats might be up for grabs in Arizona this fall. Sinema’s polling advantage — combined with Democrats’ strong showing in a high-turnout special election earlier this week — suggests that the party could theoretically mine all the pickups it needs from the Grand Canyon State. Meanwhile, a Quinnipiac poll released this week shows progressive Democrat Beto O’Rourke trailing Ted Cruz just by 3 percent in Texas. 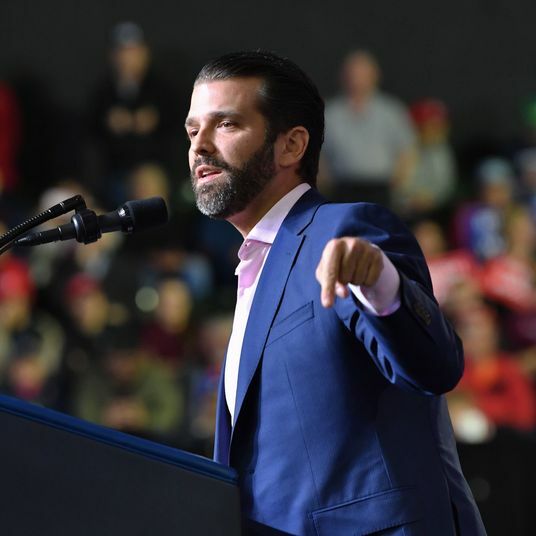 O’Rourke has proven himself a superlative fundraiser, notching an eye-popping $6.7 million in campaign donations over the first quarter of this year. All of this said: The safe bet is still that Mitch McConnell’s majority will survive the coming storm. A set of Axios/SurveyMonkey polls released last month found four red-state Democrats trailing generic Republican opponents, while Missouri’s Claire McCaskill came in eight points behind the state’s Republican attorney general Josh Hawley. The stakes of Senate control aren’t lost on big-dollar conservative donors. They know a Democratic sweep this fall could get Trump’s next Supreme Court nominee Merrick Garland-ed. And if retaining the House starts to look like a lost cause, the GOP donor class will be able to concentrate its considerable resources on reminding conservative voters in deep-red battlegrounds that control of the high court is on the ballot this autumn.